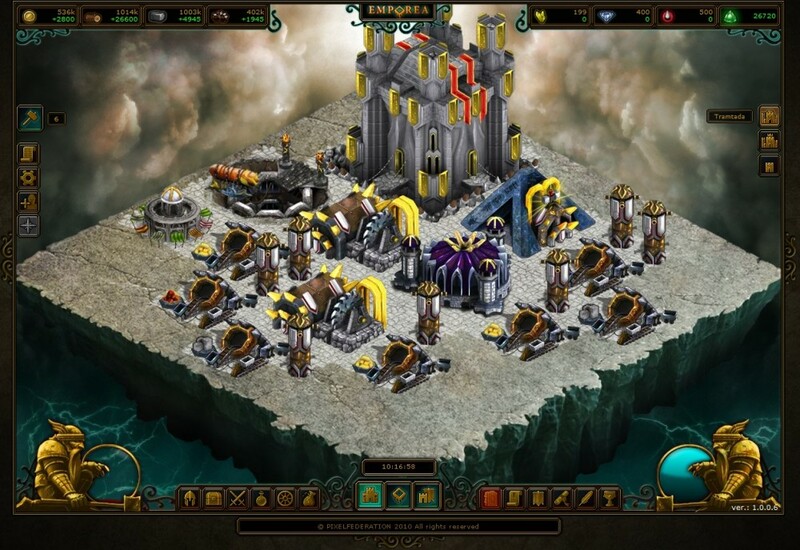 Browser based strategy game. Playing a young emperor-hero, gather resources and artifacts (which enhance your hero) by mining or raiding other camps while building the cities of your empire. There are sixteen types of creature camps you can command containing traditional fantasy-type characters. Cast learned spells directly on enemy cities in the world map. Follow the quests to help you find your path to conquering an entire nation.